Jorge Arce performs twice today at Lowell National Historical Park. 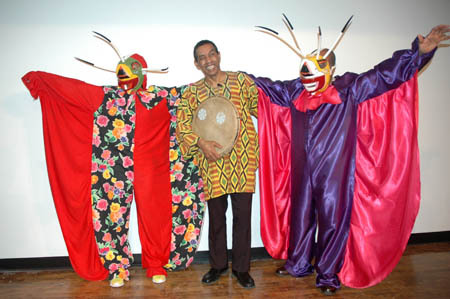 At 3:00 pm, Arce gives an Afro Caribbean workshop as part of the park’s Kids’ Week activities. 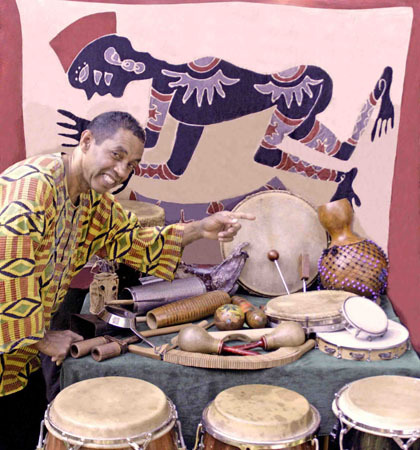 Tis evening at 7:00 p.m., he performs for the Lowell Folklife Series in the Visitor Center theatre. Expect an interactive experience featuring music, dance, lore, and stories steeped in the African ancestry of Puerto Rican culture. Try your hand with a Puerto Rican percussion instrument. Learn how to move to the beats of bomba and plena. Be surprised by two carnival masqueraders wearing typcial vejigante masks of the season. 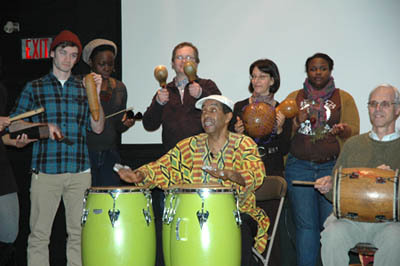 Author Heritage8Posted on February 24, 2012 March 1, 2012 Categories Dance, Music, Public program, world musicTags Afro Caribbean culture, bomba, carnival masqueraders, Jorge Arce, percussion instrument, plena, Puerto Rican musicLeave a comment on Afro Caribbean Workshop today!